Sam Blackman is a graduate of Clemson University, where he is now the associate sports information director. He co-authored Clemson, Where the Tigers Play. He resides in Central, South Carolina. Tim Bourret is the football Sports Information Director for the Clemson Sports Communications Office. 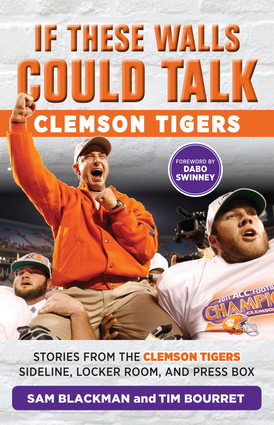 He is the author of The Vault – Clemson Football, and coauthor of Tales from the Notre Dame Fighting Irish Locker Room and Basketball for Dummies. He lives in Seneca, South Carolina. Dabo Swinney has been the head coach at Clemson since 2008. He resides in Clemson, South Carolina.